Wow! There's a lot that's been going on this past week that exciting and new, so I'm just going to try and hit the highlights! Now we're really looking forward to John Green coming Tuesday on his Paper Towns tour, as well as picture book author/illustrator Chen Jiang Hong this coming Thursday and local author Danny Schnitzlein next Sunday. Whew! Second--some of our favorite authors have new books that have come into the store, and we're so excited. 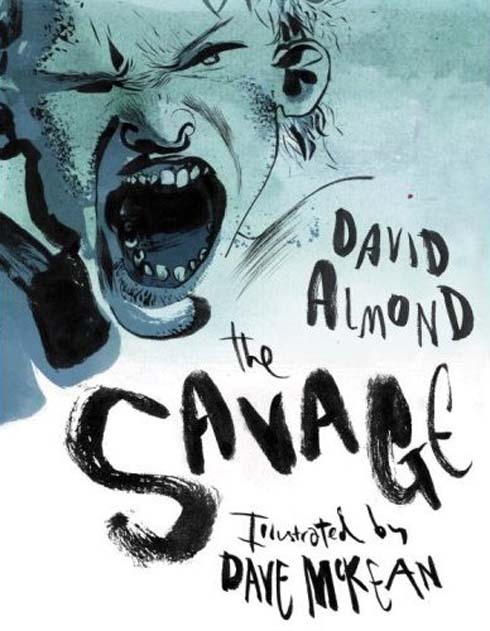 David Almond is my favorite middle grade and YA author ever, and his new book The Savage has just come in. It is fantastic! It inspired me to write several days' worth of blogging over at guyslitwire. We also got in the Diary of a Wimpy kid do-it-yourself journal. This thing was to biggest hit at comics camp this past year. The publisher was kind enough to send every camper an advanced copy, and if that were the only thing some of the campers got to do all week, I think they would have been delighted: it's got questionaires, do-it yourself comics, and even some hysterical Jeff Kinney color comics in the book that weren't in our advanced copies we got last summer! AND, if you're feeling like you might be funnier than the Diary author, then there's also a contest you can enter! Finally, I feel like an idiot for not mentioning this inspiration for The Graveyard Book when Dave and I reviewed it a few weeks ago!